Welcome to the PAESTA check-in desk! The conference theme: Mapping Our Way as Educators: Leaders In and Out of the Classroom. On Friday and Saturday, October 4-5, the Penn State Brandywine campus was the host to the 2nd Annual PAESTA Conference. 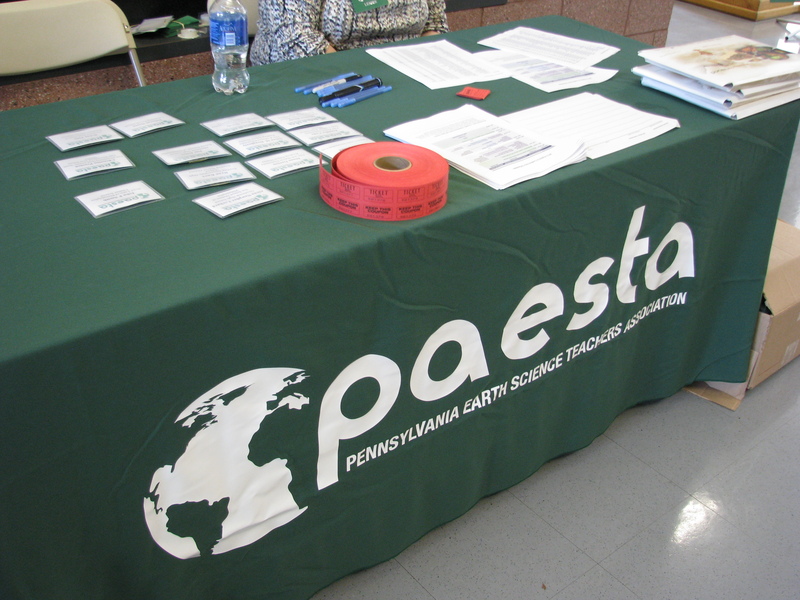 PAESTA stands for the Pennsylvania Earth Science Teachers Association, an organization I co-founded with Dr. Tanya Furman, a colleague of mine from Penn State University Park. I currently serve as the past president and president-elect of PAESTA, and as the conference was at my campus, I was on the organizing committee and the local host. What does it take to arrange and host a conference? It requires alot of time, hard work, and people power! Fortunately, I had a great group of teachers that served on the PAESTA Conference Committee with me, and my Penn State colleagues all pitched in with giving presentations, updating the conference website, printing the name tags… all of those little details that need to be addressed. TMZKO 101 became a room filled with teachers ready to learn! But let me take a quick step back… PAESTA is a professional organization designed for educators and supporters of K-12 Earth and Space Science teaching. PAESTA is the Pennsylvania state affiliate of NESTA, the National Earth Science Teachers Association. Although PAESTA was originally set up for Pennsylvania teachers, we quickly found that teachers from other states wanted to be members. PAESTA now has members from 14 states and two countries (the USA and Canada)! 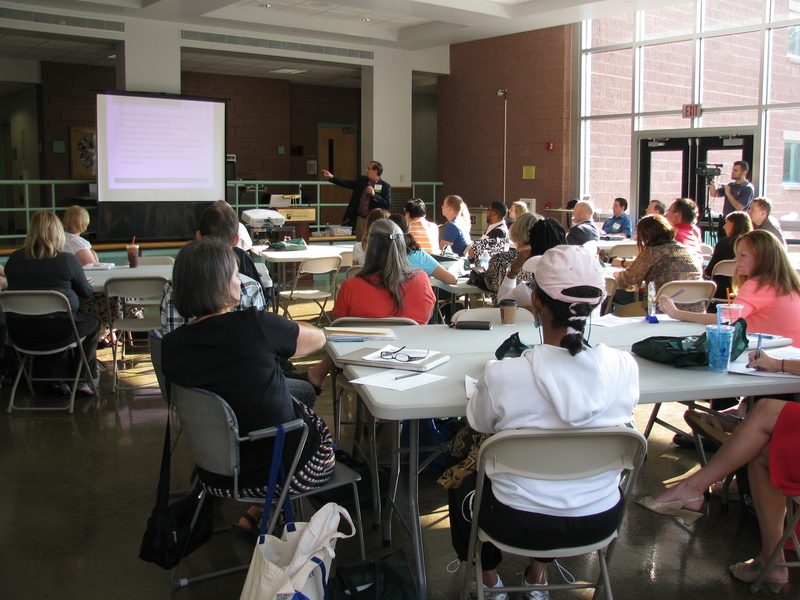 One of the goals of PAESTA is to provide professional development opportunities for teachers, which includes attending conferences and giving presentations at conferences. The PAESTA conference is the perfect opportunity for teachers to get together with other teachers to increase their network and to share their classroom innovations. Here is the conference schedule and abstracts. I won’t repeat all of the details of the presentations, but I will say that I am really proud of all of the teacher presenters, many of them presenting for the first time at a conference. The conference began Friday evening with a viewing of Extreme Ice from PBS/NOVA. We were hoping to show Chasing Ice, but the movie wasn’t released on DVD until too close to the conference date. But a bonus is that Extreme Ice has most of the same footage of glacial ice loss, and it is available for free online, which allows teachers to use it in their classrooms. Either way, James Balog has given us much to look at, to think about, and to share with students! 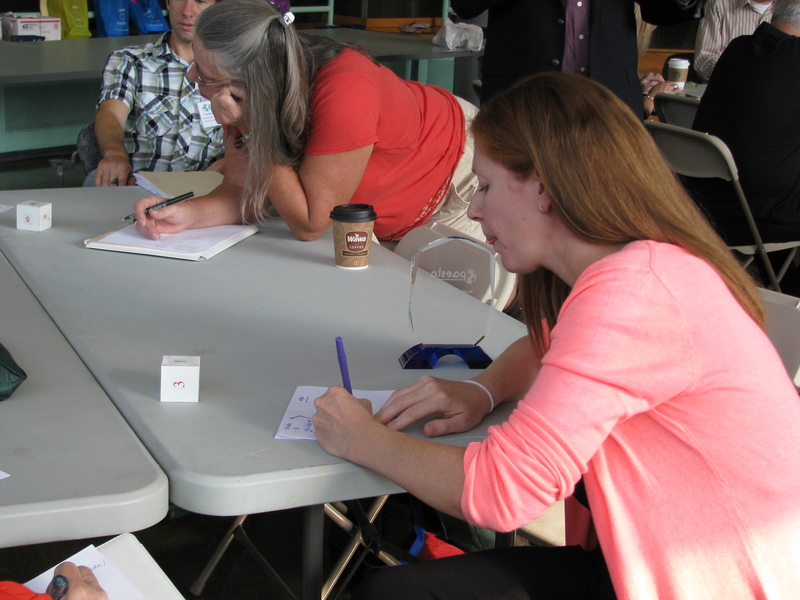 PAESTA Teaching Excellence award winner Lauren Beal, working on an activity during the morning keynote session. On Saturday, the conference had 11 presentations and 2 keynote sessions. It was a full day, also filled with a raffle for lots of great professional resources and classroom materials, and of course, the conference “swag bag” which included copies of the Switch DVD (the movie we showed at last year’s conference) and Earth Science Week kits. We also gave out an award for Teaching Excellence, presented to Lauren Beal who teaches at AMY Northwest Middle School in Philadelphia (congrats, Lauren!). So this conference was very different for me. Typically, I attend conferences to give presentations and/or to help lead workshops. This time, being the organizer and making sure all the logistics are set and ready to go is a completely different conference experience, and significantly more exhausting than all of my other conferences. I was disappointed that I was not able to give a presentation – I couldn’t let myself get pulled in too many directions – but I’m so glad we had a great conference for these teachers. The TMZKO Building Lounge is transformed in to a location for the morning keynote talk and exercise – also broadcast as a livestream video!